Black Mirror is Charlie Brooker‘s dystopian, sci-fi anthology series that points a bleakly cynical lens at the ever-evolving digital world we live in. It is, as the New Yorker’s Emily Nussbaum coined it, “The Twilight Zone for the digital age,” with each episode imagining the darkest extremes to which current and future advancements in digital technology could take us – and in some ways, already have taken us. As such, the series as a whole is pretty darned haunting (and really, really good), but with 3 seasons currently streaming on Netflix and a 4th season set to stream later this year, now is a perfect time to look back and highlight some of the existing episodes that have left a lasting imprint on our collective souls and psyches. 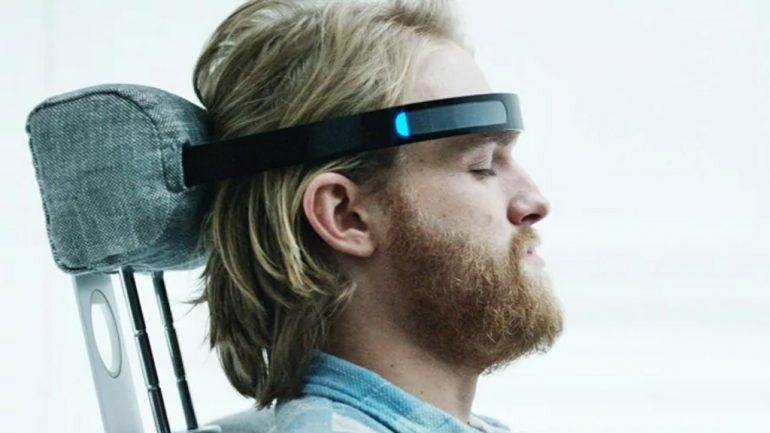 “Playtest” is one of the most likely episodes of Black Mirror to appeal to pure horror fans, as it revolves around a thrill-seeking American backpacker who volunteers at an underground testing facility for augmented-reality horror video games — with results that are not only scary, but will have you questioning your own sanity by the end. It’s also one of the most likely episodes to linger on in your subconscious mind, reminding you every now and again to call your mother. Not sure what I mean? Watch “Playtest” and find out. The fourth episode of Black Mirror’s Season 3, “San Junipero” is a mind-bending, bittersweet love story that’s sort of a cross between Eternal Sunshine of the Spotless Mind, The Twilight Zone and Mr. Mister’s ‘Broken Wings’ video. Besides transporting you straight back to the eighties and tripping you out with some new-age sci-fi time-travel weirdness, this is one of the more likely episodes to bring a tear to your eye (No? Just me?) and leave you with a lingering sense of melancholy. If you at all remember the eighties, this episode will hit you right in the nostalgic feels. And if you really want to be haunted, you can revisit “San Junipero” anytime by listening to Clint Mansell’s moody, synth-heavy ‘San Junipero’ score, or the more upbeat, ’80’s-riffic ‘San Junipero’ soundtrack playlist on Spotify. Would you like to be able to record every moment of your life and re-watch it at any time? Would you really, though? “The Entire History of You” is a cautionary tale about memory, regret, obsession, and of course, the potentially terrifying consequences of technological advancements. Who can forget the cold, robotic eyes of the couple lost in their memories as… well I don’t want to give too much away here other than to say that this one makes you want to live life in the moment and hold on to your loved ones a little tighter. Watch, rewind, then watch it again for full effect. If you could talk to a lost loved one, would you? What if it were an artificial program that spoke in the voice of a loved one, using their words, their phrases, even thinking like them. Now put that inside a lifelike robot that looks and feels like them. Would it make you feel less lonely? These are the questions that the first episode of Black Mirror‘s Season 2, “Be Right Back,” explores, and if you’re not haunted by this one then you’re most likely either dead inside already, or an artificial-intelligence robot posing as a human being. (And would you know the difference anyway)? Ooh, deep thought. 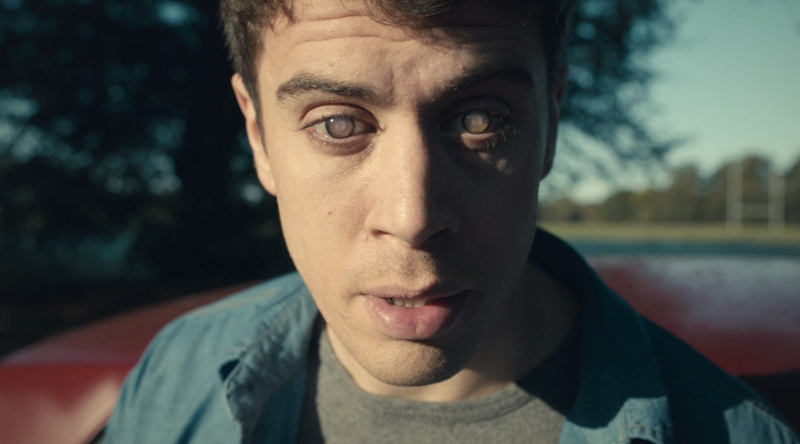 The first ever episode of Black Mirror is the one that will be forever known as “that” episode. Without spoiling the big hook, the general premise is that after a member of the Royal Family is kidnapped, the perpetrator demands that the Prime Minister carry out an unthinkably disgusting/humiliating act on live TV. “The National Anthem” is a pitch-black satirical look at not only modern media in its various forms, but also at our own role as purveyors and voyeurs within that ecosystem. Fair warning – this is one that will for sure stay with you — whether you want it to or not. It’s haunting mostly because it’s grossly disturbing. Ew. Imagine a world where your entire worth is based on your social media score – a rating that’s adjusted up or down based on how successfully you portray yourself, and on every interaction you have with another person. Such is the premise of the darkly comedic “Nosedive,” which serves as a scathing commentary on the superficial notions of self-worth in the modern digital age, where selfies, follower counts and the number of “likes” you can generate seem to matter more than real-life interactions, and where, such as in the case of Uber, your rating can make or break your success. Although “Nosedive” takes place in an unspecified theoretical future, it in many ways mirrors our current social-media-obsessed reality. “Nosedive” is haunting because there’s such a fine line between the dystopia it presents and the one we actually live in. Oh and btw, how many likes did you get today? Two men stationed at a remote frozen outpost find themselves questioning how they ended up there and why. As they share their previous life histories with each other over a Christmas meal, we begin to get a sense that all is not what it appears to be. Like the “White Bear” episode (Season 2, Ep 2), “White Christmas” puts a technological/futuristic spin the concept of retribution for our sins… sins that we have perhaps buried or forgotten. And, like “White Bear”, “White Christmas” raises questions about the role of humans and of technology in the doling out such retribution. At 90-minutes long, “White Christmas” gives us a lot of time to get drawn into the unsettling tale, which is really 3 tales in one. 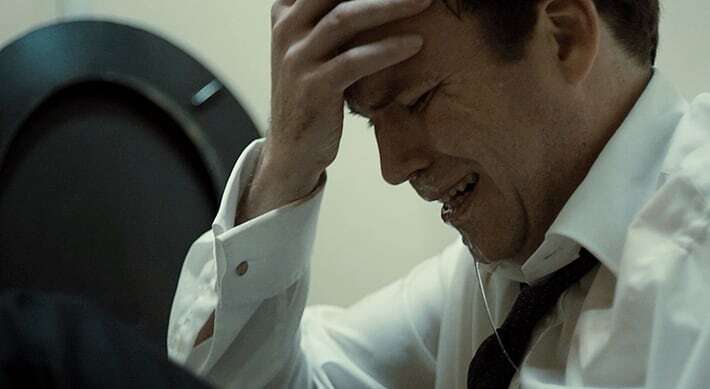 Bolstered by strong performances from its leads (Jon Hamm and Rafe Spall), clever storytelling and a disturbing twist ending, “White Christmas” ranks among the best (and most haunting) of the Black Mirror series and in league with the very best classic Twilight Zone episodes. “The Waldo Moment” isn’t necessarily one of the best episodes of Black Mirror, but it has turned out to be one of the most disturbingly prescient in its examination of an obnoxious cartoon character who enters the political arena as a ratings stunt, but ends up becoming a popular candidate who disrupts the system to disastrous effect. It’s hard to watch “The Waldo Moment” post-the 2016 U.S. Presidential election and not feel deeply glum about the future of our world — and it’s even scarier when you consider that the episode first aired on England’s Channel 4 back in February of 2013. So yeah, Charlie Brooker basically predicted Trump, and if that’s not haunting, I don’t know what is. Black Mirror: Season 4 is expected to premiere on Netflix later this year.